CANINE RENAL DYSPLASIA, What you need to know. potentially fatal. Supportive treatment including diet may help with the dog’s quality of life. A veterinarian should be consulted for treatment options. 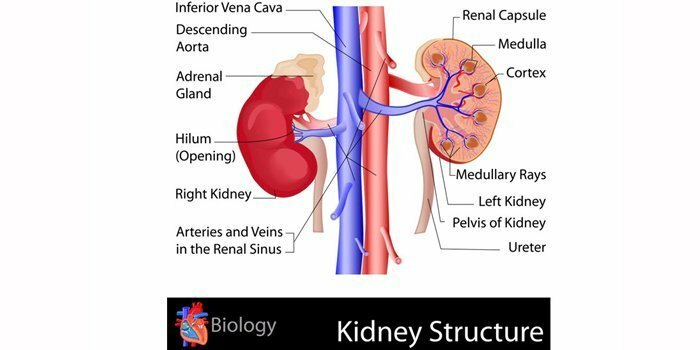 What are the symptoms of Renal Dysplasia? Often there are no warning signs and this disease is not apparent until the kidneys begin to fail. Initially owners may notice signs of increased urination and drinking. Dogs experiencing end stage renal failure may have various symptoms including vomiting, weight loss, poor appetite (anorexia), lethargy, muscle weakness, poor coat, and dilute urine. Secondary urinary tract infections may occur. The symptoms and severity of RD are highly variable amongst individuals. Since renal dysplasia is a failure of the kidneys to develop, mature dogs have kidneys containing fetal tissue types. A biopsy of a small piece of kidney tissue is done to confirm the diagnosis. Microscopic examination of the tissue shows underdeveloped glomeruli, compact clusters of capillaries that filter waste products and excess water from the blood. The waste is excreted as urine. The percentage of fetal glomeruli found in the biopsy is predictive of the severity of the disease. All dog breeds with renal dysplasia have this phenotype. Renal dysplasia is not limited to puppies under the age of 2. For many years the term “juvenile renal dysplasia” has been used to describe this form of inherited kidney disease. The mislabeling of renal dysplasia as juvenile condition has resulted in confusion about the disease, and consequently many breeders have assumed that the problem does not exist in their kennel. The age of onset is highly variable, and kidney failure from this birth defect can occur at any age, even in dogs that are up to 10 years of age or beyond. In fact more adults over the age of 5 will die from RD than puppies. Ultimately, this disease will shorten the life of many adults. A genetic test is now available to determine if a dog is at risk for developing renal dysplasia (1). The results are reported as “clear”, meaning that the animal has no copies of a mutant allele, carrier (one copy of a mutation) or homozygous for mutant alleles (two copies of a mutation). An animal is at risk to develop RD if they have one or two copies of the mutation. Renal dysplasia is inherited as dominant, meaning that a single copy of a mutation is sufficient to cause disease. Animals with one or two copies of a mutation may be clinically normal throughout life, or may develop the disease later on. Early onset of the disease, which is rare, may show up in puppies as early as 4 weeks. This test can be used to separate out cases that are inherited rather than acquired. More importantly, the test is a tool to eliminate the mutations from the breeding stock. Animals that have a normal biopsy but have the mutation can still pass the disease on to their offspring. Unlike a biopsy, the genetic test cannot predict the severity of the disease. The Mode of Inheritance Gives Rise to Highly Variable Pathology. Renal dysplasia is inherited with incomplete penetrance. If a mutation is fully penetrant 100% of the individuals with the mutation will have the disease. If the penetrance is incomplete, not all individuals with the mutation will show signs of the disease. In the case of renal dysplasia, the penetrance is low and only a small percentage of adults will be clinically affected. The percentage of fetal glomeruli found in a renal wedge biopsy is highly variable. Some animals will be clinically normal, but can pass the disease onto their offspring. While signs of the disease may never show up before an animal dies from other causes, an estimated 3-5 % of adults with one or two copies of a mutation could die from end-stage renal failure (1). The lifespan of an animal is dependant on the severity of the defect at birth. Animals with a moderate to severe defect may have no symptoms until the renal function is diminished by 70-75%, and this can take years to develop. At some point the kidney will no longer be able to compensate for the diminished function. Renal dysplasia in dogs is inherited in many breeds, has a wide range of clinical symptoms and can manifest at any age. Diagnosis of RD is difficult, and the mode of inheritance is complex.